If you suspect that you have faulting memory then ensuring that the modules are pushed properly into the slots would be the first thing that I would try as this is normally the problem 20% of the time. Make sure you check the conditions of any warranty you may have on your PC first as removing the side cover and tampering with components may void it. Another important thing you should be aware of is the fact that static electricity is one of the biggest killers of computer components. Make sure you haven’t been dragging your rubber-soled shoes around on your synthetic carpet while rubbing balloons on your head and vigorously patting your cat at the same time. If you can do that then you should consider filming it and putting it on Youtube. In all seriousness make sure that you discharge any static charge you may have built up by either using an earthing wrist strap or by making sure that the arm you are using to fiddle with the computer is touching the metal chassis of the computer while you do it. So what if pushing on the modules doesn’t help? Well, a memory diagnostic tool will be required and luckily I have just the tool for you. It is completely free and I use it personally. It is called MemTest86+ and is regularly updated to support new processors. For the purposes of this article I will be using the pre-compiled bootable ISO (.zip) file which should be suitable for 99% of users. Check out the MemTest86+ website to download it. Unless you have Windows 7 you will also need an application to burn ISO files to CD, I highly recommend ImgBurn. This is another article in its self so I would suggest checking out this article for a quick run down, otherwise read on! Once you have your MemTest86+ CD burnt and ready the next step is to put the CD in your drive and reboot your computer. You will need to make sure that your CD Drive is set to boot before your hard drive in the ‘BIOS Boot Order’ or a lot of computers have the option to select a ‘Boot Menu’ which you can use when starting. You can learn how to change your boot order here. After successfully booting from the CD, MemTest86+ will begin a basic scan of your memory modules automatically, any errors are displayed at the bottom of the screen (as pictured left). You may configure more advanced scans by using the ‘configuration’ menu which is accessed by pressing the ‘c’ key on your keyboard. Once you have confirmed the existence of any errors the next part is pin-pointing which module is causing the problem. 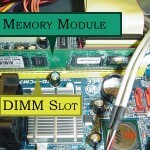 If you only have one memory module installed in your computer then the rest of the process is simple, at this point we can assume that the problem exists either with the memory module its self or the slot in which it is installed. To come to a final conclusion all you need to do is turn your computer off, remove the module and slip it into a different DIMM slot and rescan it with MemTest86+. If the error still occurs it is safe to assume that your memory module is at fault and needs to be replaced with a new one. If no errors occur this would indicate that the slot on the motherboard is at fault and in order to rectify the problem you will need to replace the motherboard, however, if this is not an option you could always leave the computer running with the module installed in the secondary slot and leave the faulty slot empty. 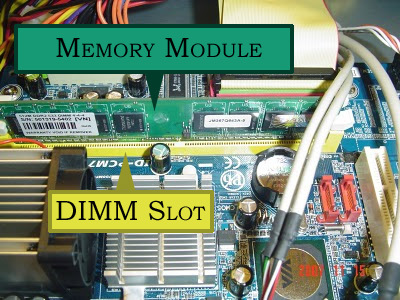 If you have multiple memory modules you will need to test each one individually using the process described above for each module, including testing in different DIMM slots. What causes memory to go bad? 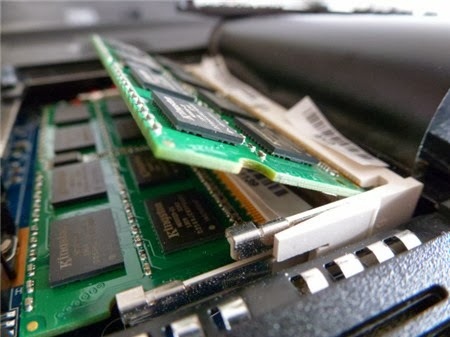 Memory modules can be damaged by static electricity as described earlier in the article. Static damage is often a result of careless handling during installation of the modules. Make sure you discharge static electricity by touching a bare metal surface on your computer’s chassis before touching any components or by using a static wrist strap. Excessive dust, dirt and moisture can also corrode or short-out joins and pins on the module its self. To reduce this risk use a can of compressed air or a low-pressure setting on an air-compressor to blow dust and dirt out of the inside of your computer. Make sure you do it outside and don’t use too much pressure! Power surges or faulty power supplies can also cause damage. Don’t skimp on quality if you ever have to buy a power-supply for your PC, brands like Corsair and Thermaltake are respectable options. I also highly recommend plugging your computer into a surge arrestor/protector to stop power surges destroying your computer. The factors described above apply to pretty much any of the components and circuitry in your computer or any electronic device for that matter so care should be taken to minimise the risks of these things happening. Prevention is a lot cheaper than diagnosing and replacing parts. If you feel the maintenance on your PC could be better make sure you take a look at my ‘Peak Performance‘ article which describes 7 easy ways to keep your PC or laptop running smoothly. If it isn’t the RAM which would have been my first guess then it may be the power supply or the mainboard. Do you have another power supply you can test the machine with? Previous Previous post: HDBaseT: The HDMI Killer? Next Next post: What are ISO files and how do I use them?